A charioteer of Julius Caesars time would have worn armour like this. 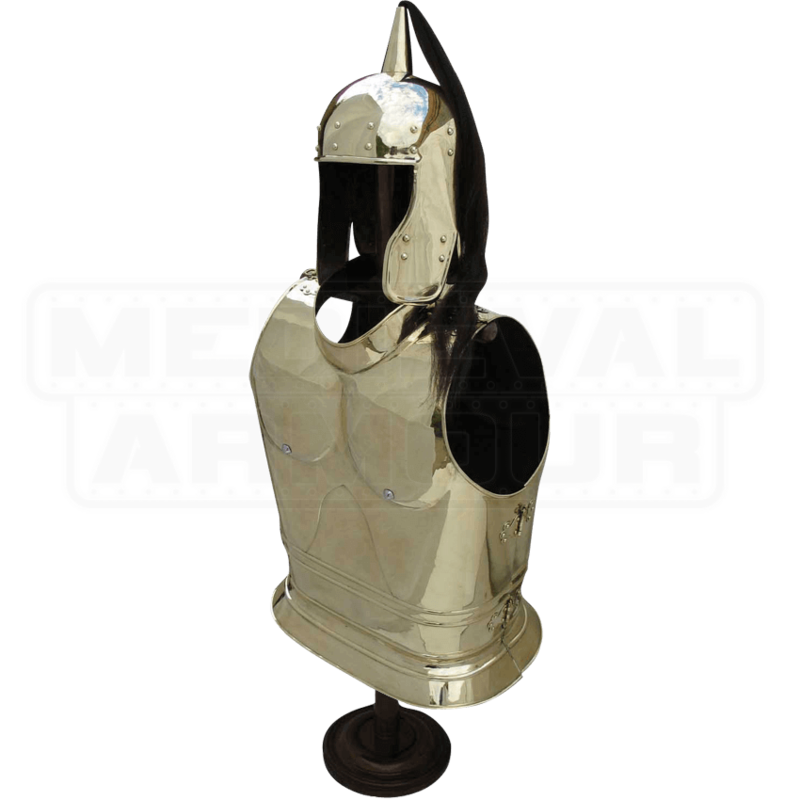 The Chariot Armour Set includes cuirass (breastplate and backplate), helmet with plume, and wooden armor stand. The helm and cuirass are made of polished brass, and both pieces are functional and wearable.